uPVC porches are simple to install, no matter which glazing, colour and extra options you choose. Wood grain finishes are available alongside the traditional colour pallet for a timber effect porch, and can be combined with a different colour on the inside to match the décor. Obscure, textured and frosted glass options are available for privacy, while energy efficiency glass options can stop heat escaping in winter and penetrating in summer. Integrated lead and coloured designs or external Georgian bars can be added to match your property. 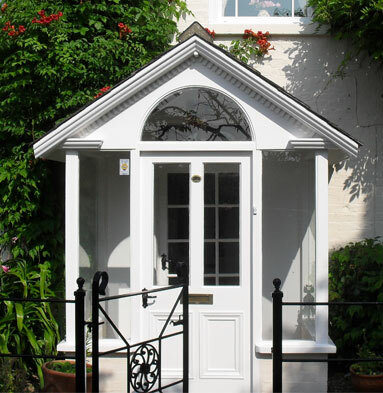 Cliffside can help you transform the entranceway to your home with a stunning range of uPVC porches. We have many years’ experience building top quality front porches for houses across Lincolnshire. Cliffside can help you design and build your porch in no time at all. Porches smaller than 3 metres squared that don’t reach the edge of your property don’t even need planning permission. Why choose Cliffside to install your front porch? If you’re looking for a uPVC porch, Cliffside can help you realise your project. Contact the team today for advice or to get an idea of prices.